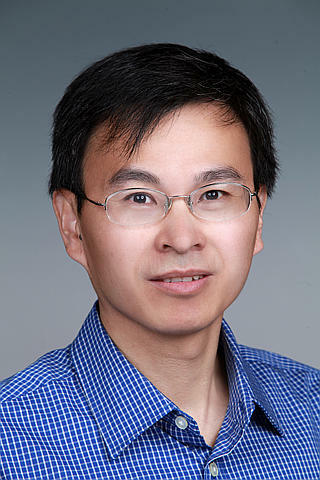 The National Institute of Diabetes and Digestive and Kidney Diseases (NIDDK) awarded PNNL bioanalytical chemist Wei-Jun Qian a $1.8M grant for Type I diabetes research. Qian will use the funds over three years to develop proteomic signatures that can predict the progression of the disease in patients. Prior to onset of Type 1 diabetes, the body enters an asymptomatic phase, which can be readily identified by serum islet autoantibodies, or AAb. The problem, though, is that Type 1 lacks potent predictive markers that can accurately predict and reveal the rate of the disease's progression. "Our hypothesis is that beta-cell protein signatures are shed into the bloodstream as they're being destroyed by autoimmune cells. By assessing the mass and predicting the trajectory of these beta-cell proteins, we may be able to determine the developmental stage of Type 1," explained Qian. Diabetes of all types is the seventh leading cause of death in the United States. More than 29 million Americans have some form of diabetes, including adult-onset Type 2. Of that total, 5 percent have Type 1, an insulin-dependent form that usually reveals itself­ at a young age, making it more challenging to manage.